Time for another catch-up trip this time with the group from the university of Haifa. 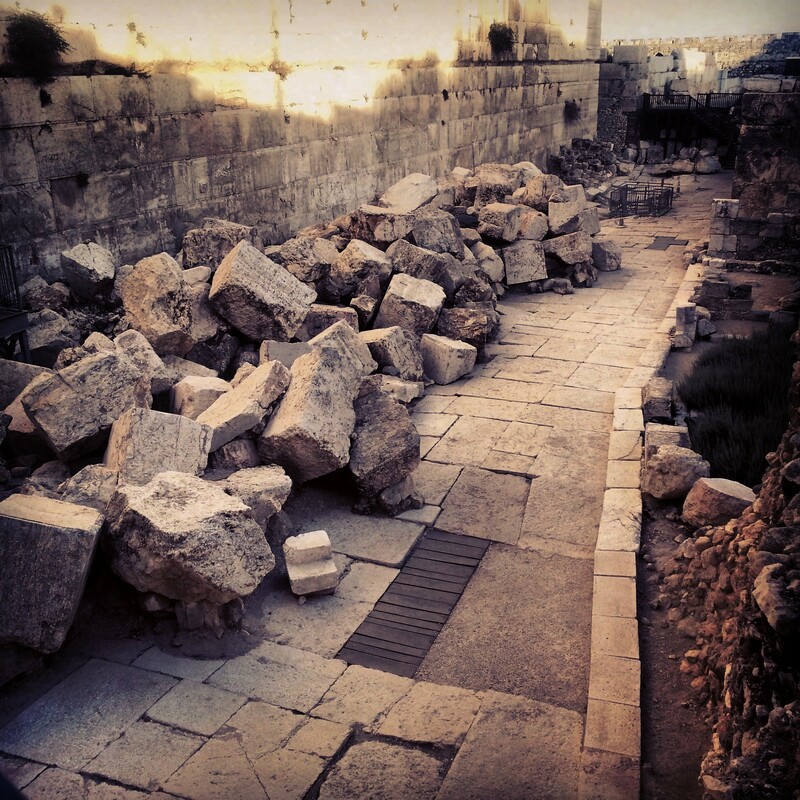 It was an important day as we explored the remains of the 2nd temple period in and around the Old City of Jerusalem. The 2nd temple period was saw the peak of the monumental buildings in the land of Israel and the greatest of these was the Jewish temple and the temple mount which was the most impressive building in the Roman empire at that time. The historian Josephus gives us an account of the history of the Jews in this period which most historians consider reliable (except for when he exaggerates on numbers) so in many cases we were citing him on this field trip. We began the day in the City of David, where we had previously been on the 1st Temple period trip, but this time were filling in a few gaps for the later period. We descended to the Shiloah pool (also known as the Pool of Siloam) which was used for drinking and also for ritual purification at the time. It was also site of a miracle where Jesus cured a blind man in the New Testament. We then went to sit on an original Herodian stepped street where we listened to an audio presentation about Jewish resistance fighters in the Great Revolt fighting against the Romans (and ultimately losing). We then ascended up the route of the Tyropoeon valley through a drainage channel which the Romans had dug underneath this paved road. As we walked through the passage, passing through an ancient cistern and mikve, we learned about some of the archaeological findings in it including a Roman sword preserved in its sheath, which is very unusual. 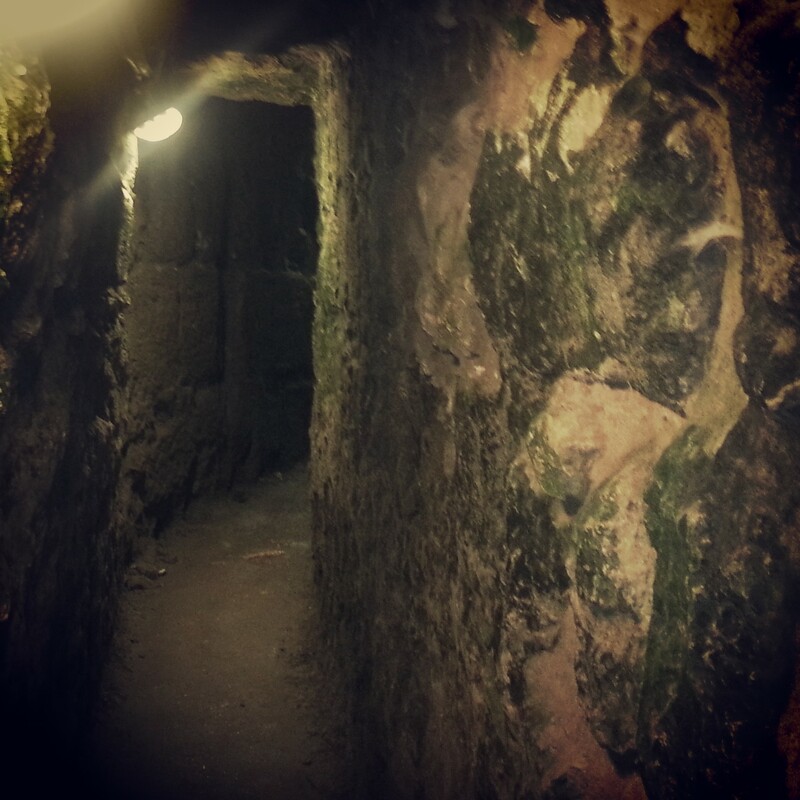 We exited the tunnels at the excavations by the south point of the Western Wall and went to the nearby Davidson Centre. The centre is a nice museum explaining a bit about the history of the construction of the temple and the pilgrimage to Jerusalem. We participated in a ‘virtual tour’ where they use a 3D computer model to take you around a reconstruction of the 2nd temple highlighting modern day archaeological finds and explaining the experience of a pilgrim. It was very interesting indeed but sadly is only available for groups on the whole, and not individual visitors. We moved up to the Jewish Quarter of the Old City. 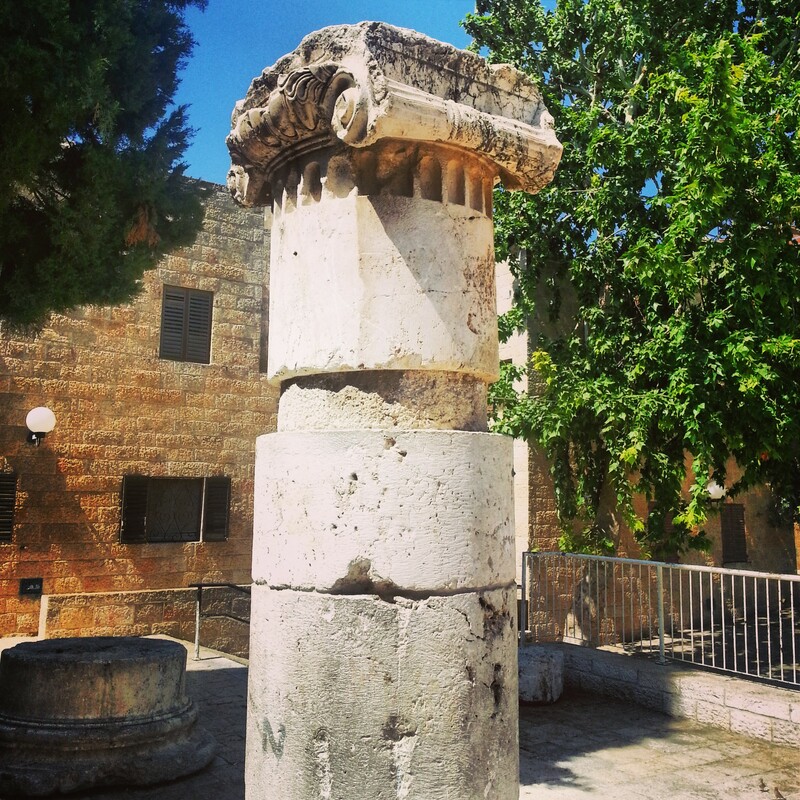 We first visited a column found in excavations from the Nea Church with a capital that based on its unusual features and dating may well have formed part of the Second Temple structure. 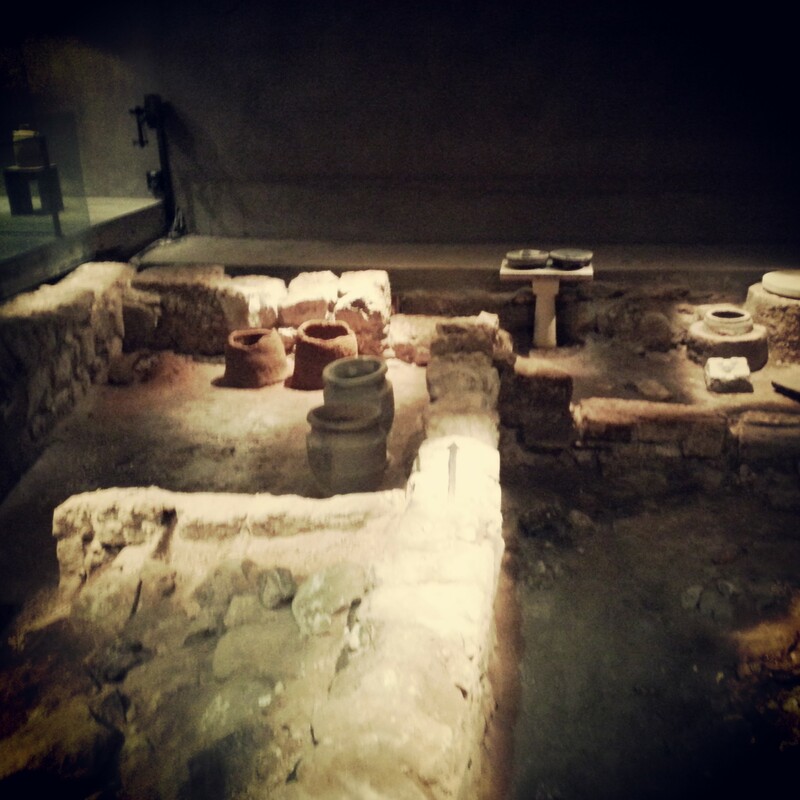 We continued to the Burnt House museum, the site of a home from the Second Temple period. Of great interest is the fact that are signs of burning/destructing dating to the time of the destruction of the Second Temple. Furthermore they have found vessels that would be appropriate for Cohanim (priestly families) and an inscription referring to the House of Katros; we know from ancient Jewish sources that Katros was indeed one of the priestly families. The site is accompanied by a video where actors attempt to reconstruct the lead up to the temple’s destruction portrayed through the lives of those in the house. 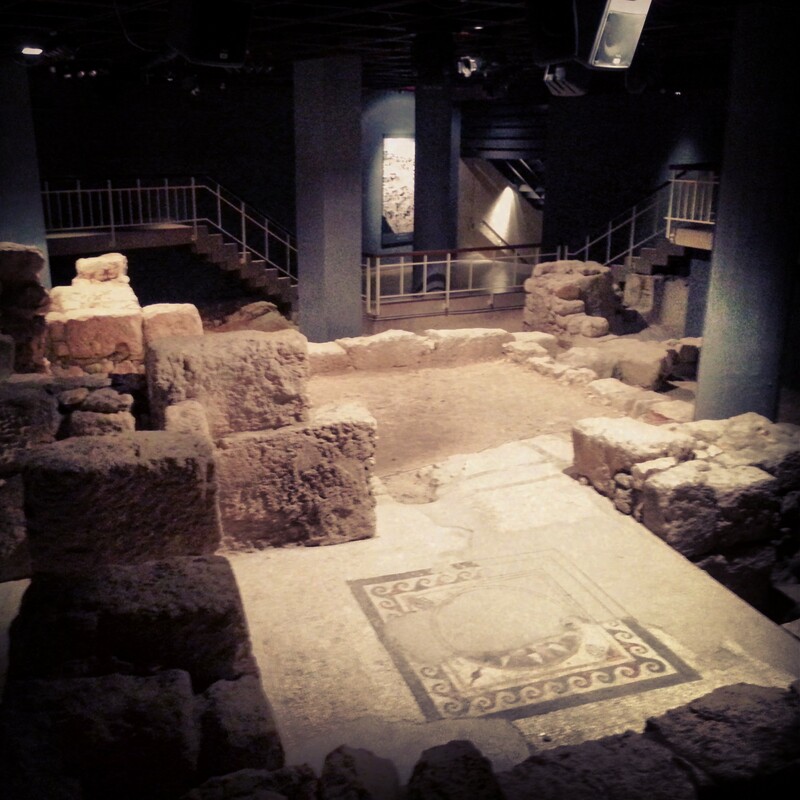 We then moved to the Wohl Museum of Archaeology, also known as the Herodian Quarter. This is another excavation site which has unearthed a great deal of remarkable finds; one of the oldest mosaics in Israel; a huge private home with very impressive wall frescos; a great deal of private mikvaot (ritual baths) indicating that in addition to clearly being an area for the wealthy families of Jerusalem, this may have been an area of priestly families. Of particular interest is a wall design showing a menorah. Given that it may have been commissioned by a priestly family who would have seen the menorah in the temple on a daily basis, it could well be the most accurate representation we have of the menorah; it notably differs in its base from the design on Titus’s Arch in Rome. The museum is really well done and definitely worth a visit; it’s easy to pass by but really gives a great insight into life in the second temple period for the Jerusalem elites. To conclude the day we returned to the excavations by the outer walls of the temple mount to be able to enjoy them when it was slightly cooler and more shaded. We began by the western wall, walking along the original Herodian street and imagining the shops either side which would have sold animals for the temple sacrifice or other things to meet the needs of pilgrims. Looking at their ruins around us I imagined the thousands of people ascending to the temple mount on the foot festivals; tried to picture the chaos among the throngs, the noise of the animals, the shouting of the traders. 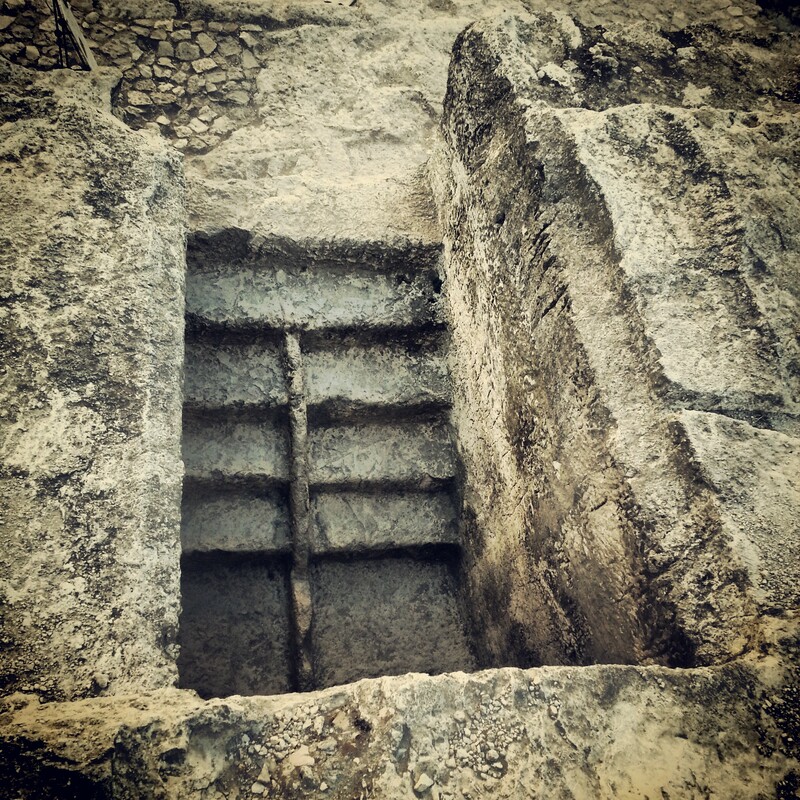 We could also see the mikvaot where pilgrims would have purified themselves before ascending to the temple; the steps were divided so that the impure would descend on one side, the pure on the other, to avoid post-immersion contamination. We noted where the Romans had destroyed the temple and sent huge stones crashing onto the paving slaps below, leaving indentations that were still visible today. You could also see the signs of the fire on the blackened rocks. We moved around to the southern part of the wall. We walked up the 15 steps, each of which was probably representative of one of the 15 Psalms of Ascent; a theory exists that they would have recited the psalms as they ascended. We imagined where the gates would have been (all is now blocked up) as this was probably the main entrance to the temple mount. It really is remarkable to see how much is left of this 2000 year old structure, to think about how much it is played a role in the prayers and thoughts of the Jewish people since, and to consider the fact that today it is so accessible. It is a great privilege.